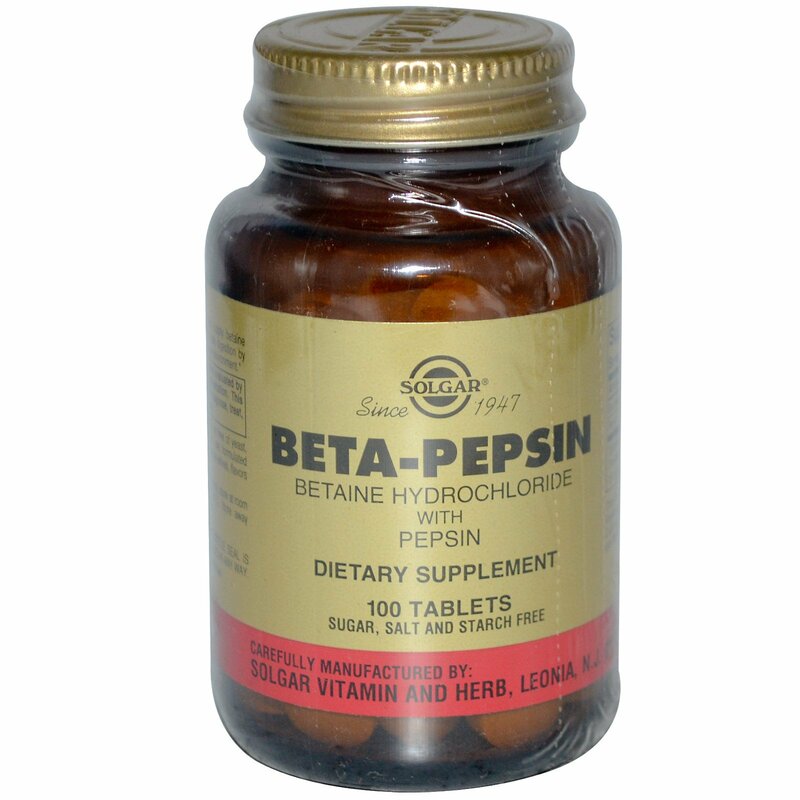 Solgar's Beta-Pepsin Tablets supply betaine hydrochloride, which further aids digestion by providing a favorable digestive environment. 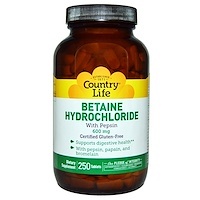 As a dietary supplement for adults, take one (1) tablet up to three times daily, preferably after each meal, or as directed by a healthcare practitioner. Microcrystalline cellulose, vegetable stearic acid, silica, vegetable cellulose, natural peppermint flavor with other natural flavors. Contains milk. Solgar's Beta-Pepsin Tablets are free of yeast, wheat, soy and gluten and are formulated without the use of artificial preservatives, flavors or colors. If you are pregnant nursing, taking any medication or have a medical condition, please consult your healthcare practitioner before taking any dietary supplement. 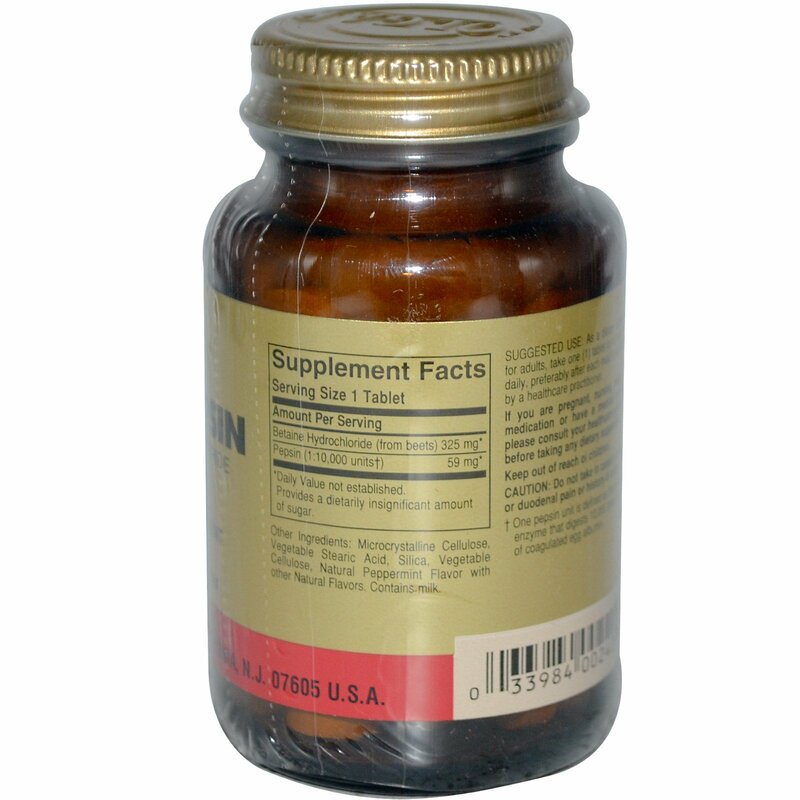 Do not take in cases of stomach or duodenal pain or history of ulcers. †One pepsin unit is defined as that quantity of enzyme that digests 10,000 times its weight of coagulated egg albumin.